The expert panel went on to say that the future retail CEO needs to be data driven “in the extreme”. Meanwhile, Korn Ferry Institute’s study of UK retail CEOs led them to say that the new retail CEO needs to be experienced with both budget and strategy. That is a demanding list of attributes for anyone. Luckily, CEOs are not alone in managing their retail companies, no matter how big or small those companies may be. The right technology, along with the right people, can make the difference between shooting in the dark and creating a company strategy that is based on the most up-to-date and accurate information possible for unified commerce. That is right, retail technology changes quickly. Keeping up with change and coping with it is one attribute of a leader-type CEO, according to research at Harvard Business School. More importantly, the researchers at Harvard found that being a leader-type CEO is linked with better outcomes for the company. But how can one person stay on top of the newest technological, financial, and retail trends? Here are some tips. Antoine de Saint-Exupéry famously said that “a goal without a plan is just a wish.” A strategic retail CEO doesn’t make wishes for the company, he or she sets goals and has a plan to track their success. If the retail goal is to sell more products online, the data-driven CEO needs to know where sales were before setting the goal, what data to monitor and how to track that data to know if the goal is being met. This is where key performance indicators, or KPIs, come in. KPIs are exactly the measures that the retail CEO of today and the future needs to track how the company is doing financially and beyond. A unified commerce platform helps you collect and maintain in one place all the KPIs you need to track. It also enables you to easily split them between channels, product types and even individual products, so you get the level of detail you want for your decisions. In The DNA of the Future Retail CEO, only 31% of the retail experts asked said that the retail CEO of the future will have the technical skills needed for unified commerce and to make data-driven decisions. Prove them wrong! Don’t be left behind as retail moves into the future. Be the strategic leader your company needs, with the right systems and data to support the decisions you make for your company. Make sure your retail vision is based on the best data available. 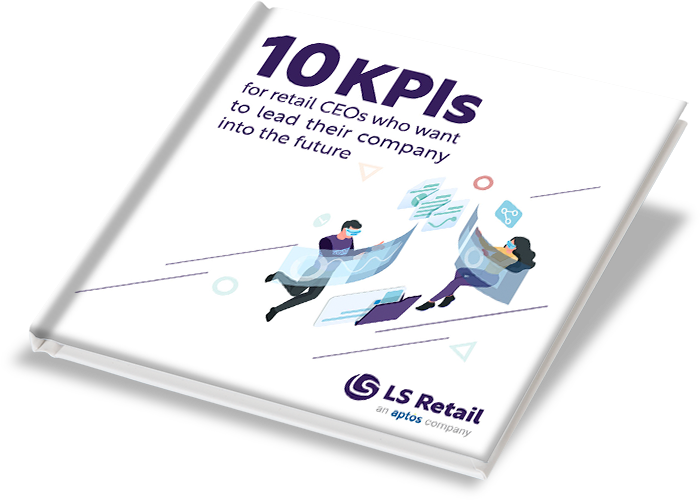 Download this eBook to learn about the key performance indicators a retail CEO needs to track to lead effectively, set company goals, and cope with change.